Today on our Wovember Words EU tour of sheep and wool, we are in the Netherlands. To celebrate this, we are republishing a post from Tom of Holland – inventor of Wovember Words – written in 2011, and exploring Dutch knitting terms for sheep and wool. In this EU Wovember Words series, we are rarely in a position to get deep into the etymology of woolly words, so it’s a treat to be able to revisit Tom’s insights on the topic. This evening we have a wonderful guest post from the talented Tom of Holland. I am a huge fan of Tom’s blog, which details such lovely things as visible mending in the immediate environment; (surely an inspiration to any fan of darning?) the differences between Sanquhar and Yorkshire Dale gloves; and adventures in knitting a Cornish Knit Frock and some mind-bogglingly gorgeous lacey vintage patterns for Susan Crawford. 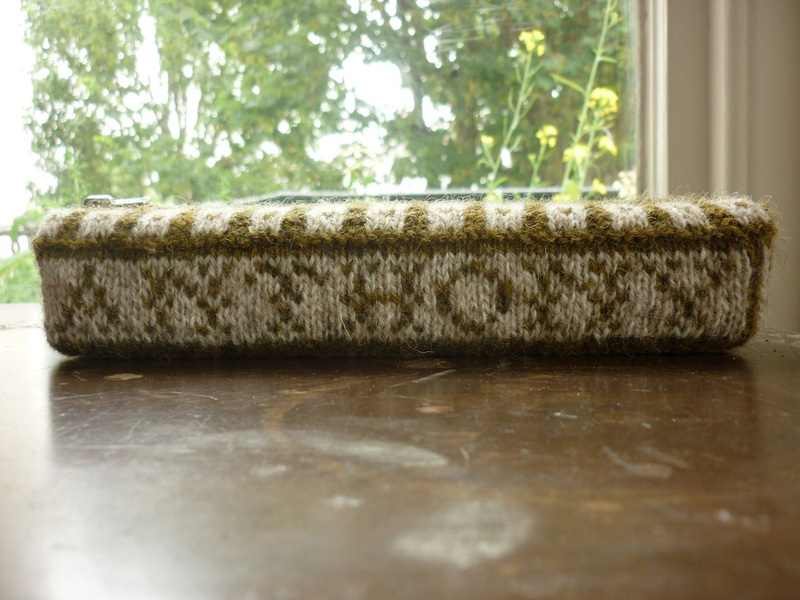 I love the frequent references to literature – either novels or knitting literature – which surround Tom’s inventive knitting practices; there are often books, texts or stories connected with the things that he makes, and letters often appear in his knitting. …perhaps it is this preoccupation with letters and words and knitting and language, which has prompted Tom to write about some of the words in Dutch and English which relate to Wool! All content © Tom of Holland. Having moved from The Netherlands to the UK over 11 years ago, I am fluent in both Dutch and English and I often find words in one language that appear to have a strong connection to a word in the other. How does this relate to Wovember, you may ask? Well, I hope this will become clear by the end of this post. 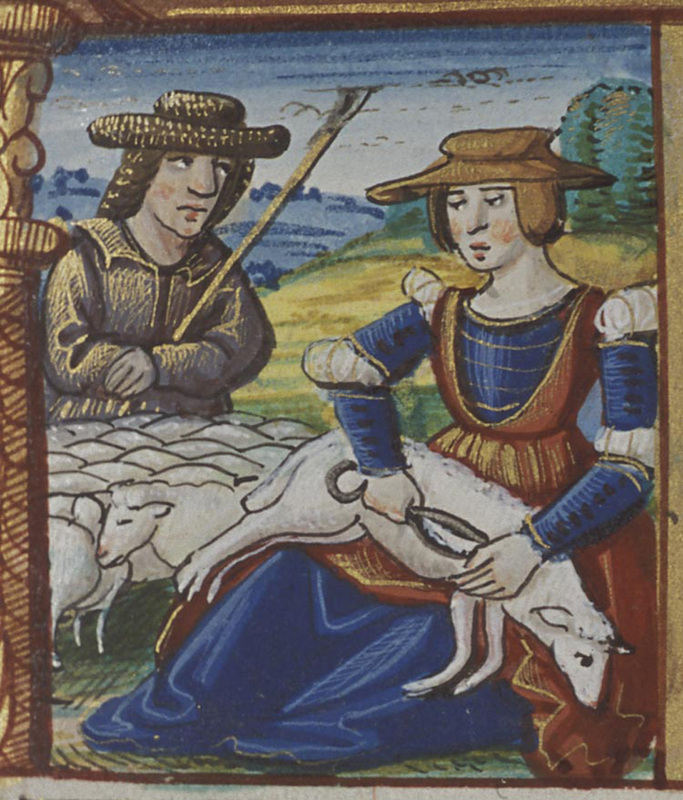 Wovember is all about WOOL (‘WOL’ in Dutch) and SHEEP (‘SCHAAP’). I think you will agree that there appears to be a similarity between these words, so I opened a few dictionaries to see if my hunch was correct. Old English sceap, scep, from West Germanic. *skæpan (compare with Old Saxon scap, Old Frisian skep, Middle Low German schap, Middle Dutch scaep, Dutch schaap, Old High German scaf, German Schaf), of unknown origin. Not found in Scandinavian or Gothic, and with no known cognates outside Germanic. 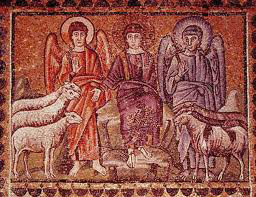 The more usual Indo-European word for the animal is represented by ‘ewe’; and, unsurprisingly, this word is related to the Dutch for EWE, which is OOI). Old English wull, from Proto-Germanic. *wulno (compare with Old Norse ull, Old Frisian wolle, Middle Dutch wolle, Dutch wol, Old High German wolla, German wolle, Gothic wulla), from Proto-Indo-European *wele- (compare with Sanskrit urna; Avestan varena; Greek lenos “wool;” Latin lana “wool,” vellus “fleece;” Old Church Slavonic vluna, Russian vulna, Lithuanian vilna “wool;” Middle Irish olann, Welsh gwlan “wool”). For Dutch readers, you can look up the words SCHAAP and WOL on www.etymologiebank.nl, the entries of which are so similar to etymonline.com for SHEEP and WOOL that providing a translation feels unnecessary. However, additionally it does give the following quote from 1265-70: “hi stont bi sinen schapen” (he stood next to his sheep). All four words have a veritable heritage, going all the way back to before 1100CE! I love the fact that the word SHEEP is unique to the Germanic language family, and that both English and Dutch use the more usual Indo-European word for the animal for the female SHEEP. A wolf in sheep’s clothing / een wolf in een schapenvacht: someone who hides malicious intent under the guise of kindliness. 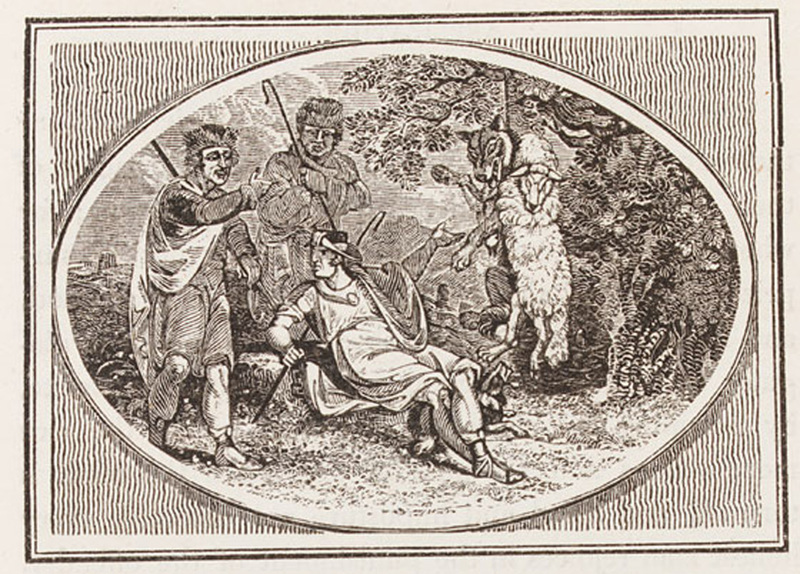 Both Aesop’s Fables and the Bible contain explicit references to wolves in sheep’s clothing. Geldwolf (direct translation: money wolf): somebody who tries any means to acquire more money. These two sayings illustrate for me what I love about being bilingual. The wolf in sheep’s clothing could well be a ‘geldwolf’, an association you could only make if you’re fluent in both English and Dutch. Vijf poten aan een schaap zoeken (direct translation: trying to find five legs on a sheep): trying to find something that isn’t there. Dyed in the wool / door de wol geverfd: EN: extreme or unchanging in attitude, opinion, etc. NL: 1) experienced, 2) very impudent. Derived from processes wherein wool is dyed before being woven into cloth, as this makes the fabric more colourfast and therefore more enduring. Interestingly, this saying has a different meaning in English than it has in Dutch – this is called a “false friend” in linguistic circles – and of course it is the second Dutch meaning that came to my mind here. Pull the wool over someone’s eyes: to deceive, to hoodwink someone. The natural assumption is that this phrase derives from the wearing of woollen wigs, which were fashionable for both men and women in the 16th and 17th centuries. The phrase itself is of 19th century American origin, by which time the fashion for wigs had largely died out. Black sheep of the family / het zwarte schaap van de familie: a worthless or disgraced member of a family. Possibly because black fleece cannot be dyed so it had less value, although in certain parts of England (Somerset, Kent, Derbyshire, Sussex) a shepherd regarded a black sheep as an omen of good luck for his flock. Of course nowadays wool-geeks positively celebrate the natural colours of wool, be they black or otherwise. Veel geblaat/geschreeuw maar weinig wol (direct translation: much bleating/noise, but little wool): pretending something is much more substantial than it really is. Als er een schaap over de dam is, volgen er meer (direct translation: if one sheep crosses the weir, more will follow): if one person tries something new, than others will follow. This probably relates to the herding mentality of sheep and their fear of water. Holland has many canals and ditches separating farmers’ pastures, and if they have to move their flock the sheep are afraid of crossing them. However, once a farmer manages to get one sheep across a weir or bridge, he knows the others will most likely follow suit. I think I don’t have to spell out for you how many of these sayings can be related to the fashion industry’s misappropriation of the terms WOOL, WOOLLY and WOOLLEN to sell garments that bear no resemblance to the real stuff! What sayings do you have in your language that contain the words WOOL or SHEEP – or indeed ULD, VILL, LAINE, WOLLE, OLLA, LANA, ULL, BOBHA, GWLAN, OVCE, LAMMAS, MOUTON, SCHAF, DOMBA, SAUER, OVINOS or TUPA? Post them in the comments below. Translations encouraged!